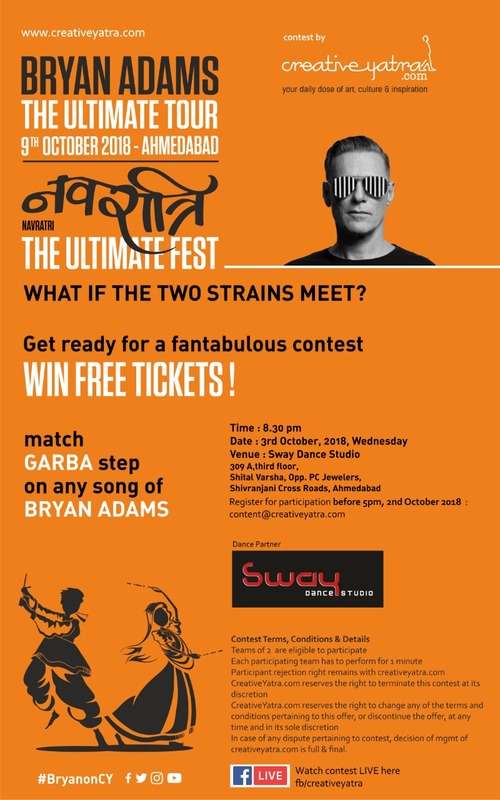 Here is a Navratri special contest that lets you WIN FREE tickets to the BRYAN ADAMS Concert. Can you match GARBA dance steps on songs of BRYAN ADAMS ? Sway Dance Studio is our dance partner and the contest will be held at Sway. REGISTER NOW. Lots of tickets to WIN !! Follow #BryanonCY for all updates.